Welcome to the official Blog of "Insulin Potentiation Targeted Therapy" a medical procedure in Alternative Medicine, developed and researched for over 80 years by 3 generations of medical doctors, named Donato Pérez García. DETOXIFICATION THERAPIES-Whether it’s it a moderate, medium to critical case of intoxication, our IPT Detox Programs can help reduce toxin’s using the body’s own draining system, stimulating the main organs in charge of eliminating toxins, such as liver, kidneys and lymphatic system, helping restore balance and with our IPT Follow Up and Maintenance Plans, we will provide nutrition and supplement guideline, as well as detox programs you can do from home to keep your toxicity level to normal standards. Specific Organ Support: Liver, stomach, uterus, prostate, kidneys, ovaries, bladder, breast and digestive alterations. Specific Symptom Relief: Inflammation, Chronic Pain, Fatigue and Allergies. 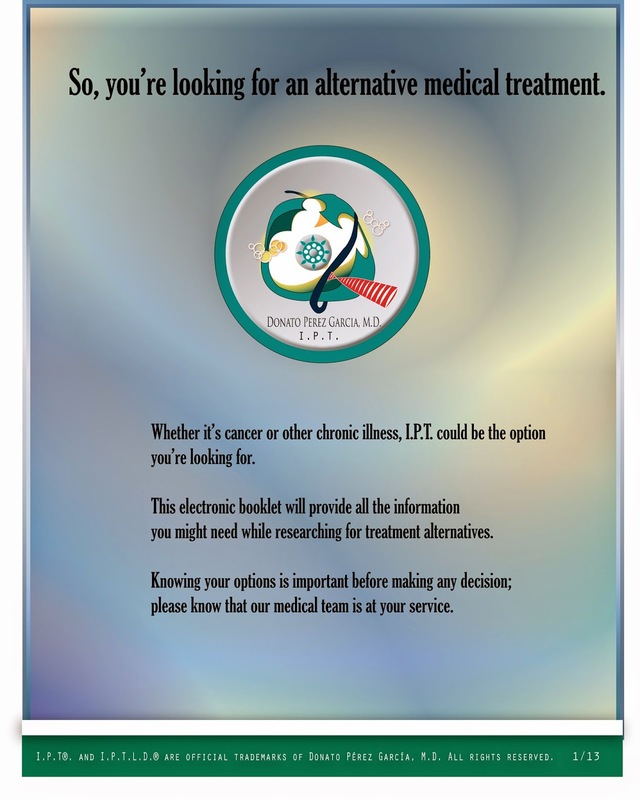 IPT Medical Team of Donato Perez Garcia, MD. * All our treatments include a Maintenance and Follow Up Plan for each specific medical condition, to prevent recurrence. 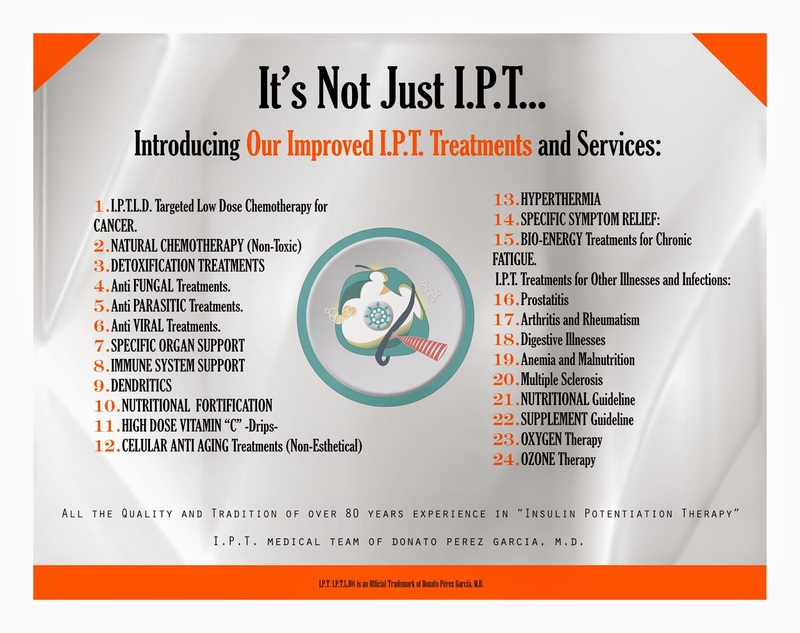 * IPT - IPTLD is an official trademark of Donato Perez Garcia, M.D. Need to schedule an appointment with Donato Perez Garcia, MD. Address: Hospital Angeles Tijuana.Medical Tower Building. 5th Floor. Office 505. Tijuana, Baja California. Mexico. FUNGAL DISEASE TREATMENT USING I.P.T. ANEMIA AND MALNUTRITION TREATMENTS WITH I.P.T.